Highest quality - for consumers` heath. Excellent service and brands support - for distributors. Best conditions for self-fulfillment – for our employees. We satisfy needs of all population strata for natural, healthy, high-quality and affordable products. Preservation and augmentation of our nation’s health is the main mission of Yug Rusi Company. 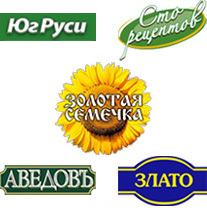 Oil produced by Rostov-on-Don oil extraction plant Yug Rusi under brand Golden Seed (Zolotaya Semechka) again has received the mark of voluntary certification “Made in Don Land”. In the eve of the 23rd of February the companies of Yug Rusi Group traditionally celebrated their employees that have served in military forces in different years and protected our Motherland.